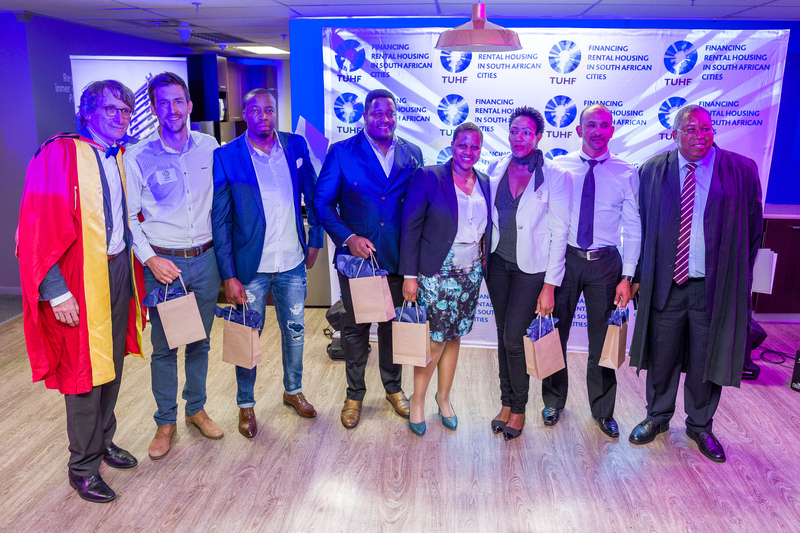 TUHF concluded the year on a high note with their Annual Year End Function, rounding together clients and TPPE Graduates – celebrating their proficincies after the completion of the Property Entrepreneurship programme. The TUHF Programme for Property Entrepreneurship (TPPE) is aimed at supporting entrepreneurs in growing their businesses and helps them improve both their investment and management decisions. TPPE aims to equip clients with the skills and knowledge of the industry and provides them with an understanding of various aspects of property including: Property Entrepreneurship and Property Investment; Property Studies and Feasibility Studies; Construction Management; Green Building; Property Law, and Drivers of the Real Estate Market. TPPE Graduates were awarded certificates, and winning teams received some really cool gadgets for best practice ideas initiated within the course programme. The TUHF Programme for Property Entrepreneurship is done in collaboration with the University of Cape Town.